Fred Arndt and his brother Dave came to General Motors straight out of high school. They spent their entire careers building the engine cooling systems that increase the lifespan of Cadillacs and other vehicles. Dave worked in assembly; Fred, one year younger, qualified for GM University, which propelled him to work as a draftsman and engineer. They worked the line side-by-side. Dave built the parts Fred had designed. The brothers made their way to Delphi, an auto supplier spun off from GM that builds components—seats, instrument panels, steering and suspension systems—for cars. 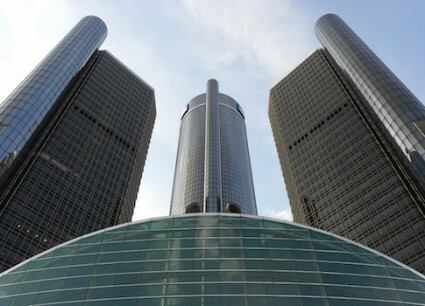 When GM separated from Delphi in 1999, Fred travelled far from Michigan. He worked all over Ohio and in company plants in upstate New York. As he neared retirement, he returned to Saginaw, Mich., and commuted 100 miles each day to Delphi headquarters in Troy. He retired a bit earlier than he had expected—the daily drive took its toll. He never had children, so he had plenty of savings to supplement his pension. Now he has been forced to use the money to pay for his home, groceries, and gas. "I’m somewhat fortunate; I’ve heard about a lot of bankruptcies, some suicides—real tragedies. But when I found out Delphi was going bankrupt, I readjusted my savings," he said. "I thought they would help in my old age for healthcare, now I’m drawing half my income from it. It’s disappearing fast." Arndt is one of the more than 20,000 non-union Delphi employees that have seen their pensions wiped out by the government-directed bankruptcy. While the pension fund covered the retirement packages of executives, the majority of employees are middle class white-collar workers: engineers, accountants, and secretaries. Den Black, an engineer who spent 36 years at the company is now leading the fight to win back the drastic pension cuts. "People have seen their life savings disappear and it’s not like this was Katrina, some act of God," he said. "This was a political decision led by men trying to play God—I think they thought we were a part of that one percent they hate so much, so they wanted to stick it to us." The federal automotive task force recognized that GM could not recover unless Delphi pulled out of bankruptcy. UAW, which helped forced GM and Delphi into bankruptcy after refusing to accept cost-saving deals, had fought management for years over proposed labor and pension cuts, preventing any progress in the company’s recovery. That left matters in the hands of the Pension Benefit Guaranty Corporation (PBGC), an independent government backstop for pensions that was "created by the Employee Retirement Income Security Act of 1974 to encourage the continuation and maintenance of private-sector defined benefit pension plans, provide timely and uninterrupted payment of pension benefits, and keep pension insurance premiums at a minimum," according to the agency's website. The PBGC assumed $6.2 billion in retirement liabilities, the second largest pension bailout in history. It then terminated the pension plan for non-union employees, while spinning off the union plans to GM. The bailed out automaker pledged to kick in $1 billion to preserve the union benefits in full. Bankruptcy expert Todd Zywicki suspected politics were in play when he testified before congress in July. "General Motor’s decision to guarantee the obligations of a separate company—Delphi—was completely unjustified under established principles of bankruptcy law, and it increased the cost of the taxpayer bailout of the automotive industry by more than $1 billion with no reciprocal benefit to General Motors," he said then. Black says the Obama administration steered the PBGC to preserve the union fund on the backs of non-union employees. "We don’t begrudge our union counterparts; we worked side-by-side with them," he said. "What we won’t tolerate is the fact that we were intentionally discriminated against by the White House, so they could help out their political allies." The UAW is among the top political donors in the country, making nearly $30 million in contributions over the past twenty years. Nearly all of that money has gone to Democrats, according to the Center for Responsive Politics. The Treasury Department, which oversaw the $50 billion taxpayer bailout, insisted it had no role in the decision to wipe out the non-union pensions. "The termination of the Delphi salaried pension plan was made by the PBGC in accordance with its standard procedures and applicable laws—not by Treasury," Treasury spokesman Matt Anderson said. "Although the Delphi bankruptcy was very difficult for its employees and retirees, the actions Treasury took to support the American auto industry helped save more than a million American jobs during a period of economic crisis." However, a Daily Caller FOIA request suggests that the Treasury Department and White House may have played a decisive role. The Caller reported in August on a series of emails from PBGC officials that referenced the need to run any decision by Treasury Department officials before issuing it. The UAW did not respond to requests for comment. Local reports from Michigan indicated that local UAW officials "welcomed" the company's bankruptcy negotiations with GM beginning in the summer of 2009. But on July 21, 2009, Delphi announced that GM would not to assume responsibility for the union pension plan. Less than one week later on July 27, the company reversed its decision, pledging to "top off" any pension cuts union employees sustained. Obama has highlighted the auto-bailout in almost every speech he’s given for reelection and Vice President Joe Biden has adopted the campaign slogan "Bin Laden is dead and General Motors is alive." Obama opponents, though, are drawing increased attention to the plight of Delphi’s non-union workers. Let Freedom Ring, a non-profit organization, has spent $7 million on Delphi ads to air in Ohio, Wisconsin, Pennsylvania, and Virginia just days before the election. "All this week Obama and the Democratic Party will be talking about how great the auto bailout was, but they won’t be talking about the non-union workers at Delphi they harmed through the bailout," LFR President Colin Hanna announced in a release at the start of the DNC. "We will be talking about it, and we will empower these workers to speak out … allowing swing voters in key swing states to hear the truth." The ad buy may help sway voters in the critical swing states, but Fred Arndt already has his mind made up. He’s more focused on making it to November with all of his bills paid on time. Activist Den Black is more forceful, however. "I will never touch a Government Motors product as long as I live—I’m ashamed I even worked for the company," he said. "When Obama says he saved the automotive business, that’s just taking liberty with the facts to the nth degree."